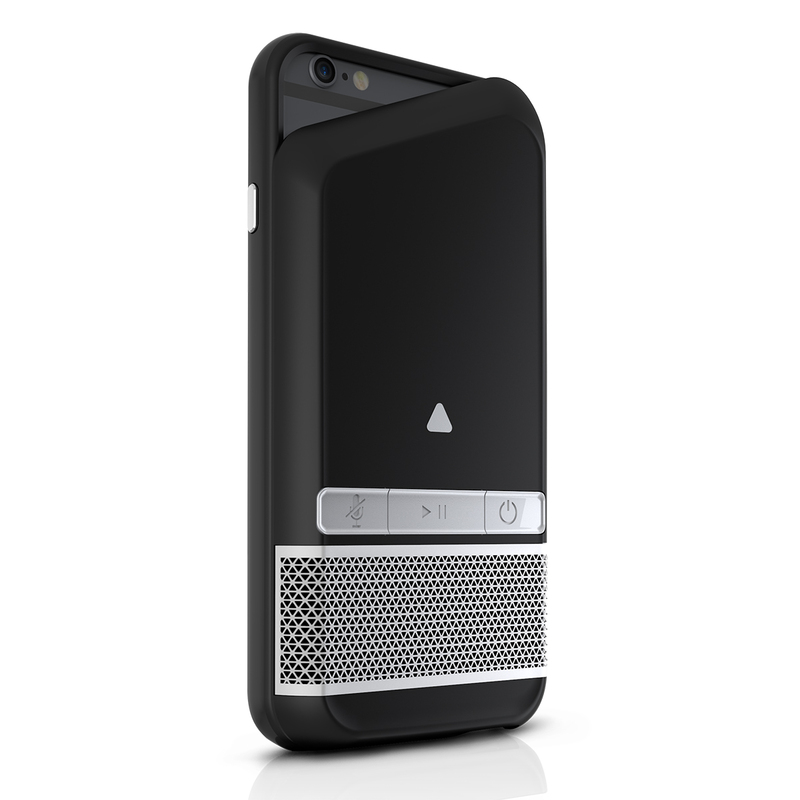 ZAGG announced its speaker case at CES 2015 which a a protective smartphone case for the iPhone 6 , boast a removable Bluetooth speaker. To keep everything changed and running the case also has a 1800mAh bettery which a keep your device charged for an additional 8 hours of talk time. LAS VEGAS, Jan. 5, 2015 — ZAGG Inc (Nasdaq:ZAGG), a leading mobile device accessories company with a brand portfolio that includes ZAGG® and iFrogz®, returns to International CES for 2015 with a full range of accessories for mobile electronics. ZAGG’s latest products can be found in the Las Vegas Convention Center’s South Hall 4, booth 35823. iFrogz products will be featured in the adjacent booth, 35623. As the makers of the no. 1 selling brand in keyboard cases,* ZAGG will have leading keyboards on-hand for demonstration, including the new ZAGG Pocket, a wireless Bluetooth® keyboard designed for phablet and smartphone typing. Other highlights include the ZAGG Speaker Case for the Apple iPhone® 6, which features a removable, wireless Bluetooth® speaker, and the InvisibleShield HDX, the most advanced screen protection on the market. Both the ZAGG Pocket keyboard and ZAGG Speaker Case were selected as CES Innovations Honorees for 2015. ZAGG’s booth will include free installations of the InvisibleShield three times a day and Event Toons tablet caricatures. At the iFrogz booth, guests can recharge their devices at the mobile power and coffee bar. Visitors to CES can join ZAGG’s social media conversation with the hashtag #zaggprotect, and be eligible to win giveaways and prizes. Connect with ZAGG on Facebook and Twitter for more information. ZAGG Pocket: Delivering over 85% the size of a desktop keyboard, the ZAGG Pocket keyboard maintains fast, natural typing and then folds into a compact protective travel size case that easily fits into pockets and purses. Unlike other portable keyboards, the Pocket folds between lines of keys to preserve comfortable spacing to help users get more done. The ZAGG Pocket will be available in Q1 2015. ZAGG Speaker Case: A protective smartphone case for the Apple iPhone 6 that features a removable Bluetooth speaker, the ZAGG Speaker Case is perfect for boosting music, conference calls, videos and games. The Speaker Case also features an 1800mAh backup battery, which can provide up to 8 hours of additional talk time, and can be shared with a friend. The ZAGG Speaker Case will be available in Q1 2015.